Sunday, March 10, the ZYDECO MARATHON will cover a large portion of Lafayette. Roads throughout much of the city will be blocked, and this area almost completely surrounds First Baptist. While police will open intersections briefly when runners are not passing, in prior years extremely long delays were experienced by members on their way to Sunday services. If you live inside the blue area on the drawing below, you will have to cross the race route at least once. If you live outside the blue area, your best option is to use Johnston St. 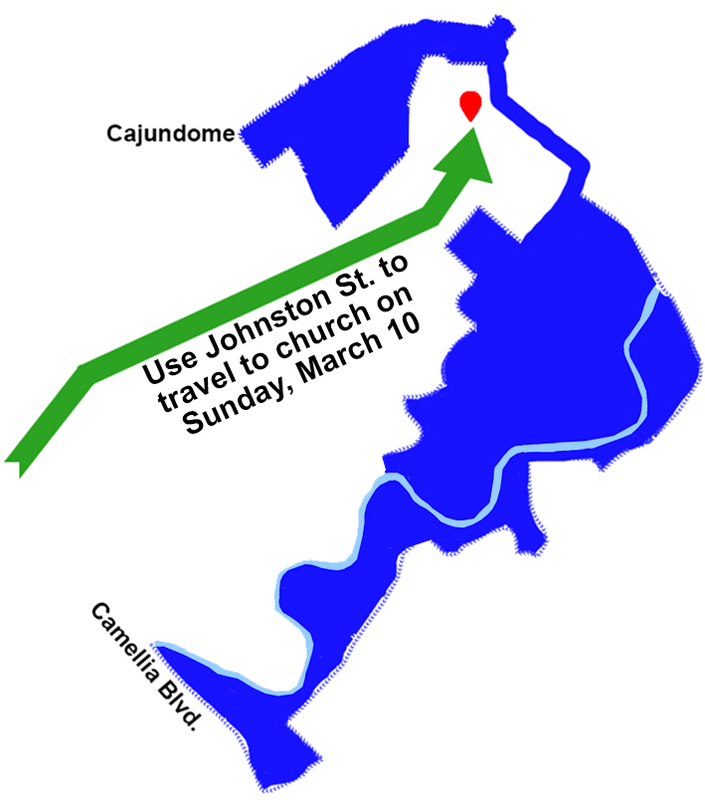 Residents on the north will likely have to go west past the Cajundome to access Johnston St., and residents to the south will have to go west of Camellia Blvd. Plan to allow plenty of time for the additional drive or for waiting at intersections.